Sid and Mary are high school sweethearts that are starting their happily ever after. Their beautiful wedding was held at Nashville Baptist Church in Nashville, NC. 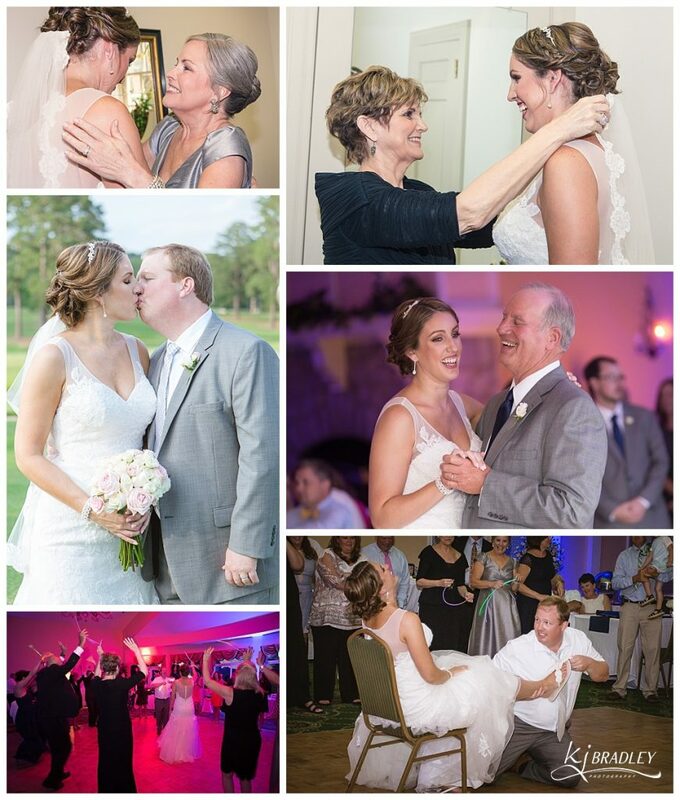 The bridal party and family shared in a love-filled, fun day celebrating the happy couple. The bridesmaids wore asymmetric, navy lace covered dresses that complimented the bride’s lovely v-neck, ivory, lace covered wedding dress. The blush pink fresh flowers provided a delicate compliment that was carried through to the cake. 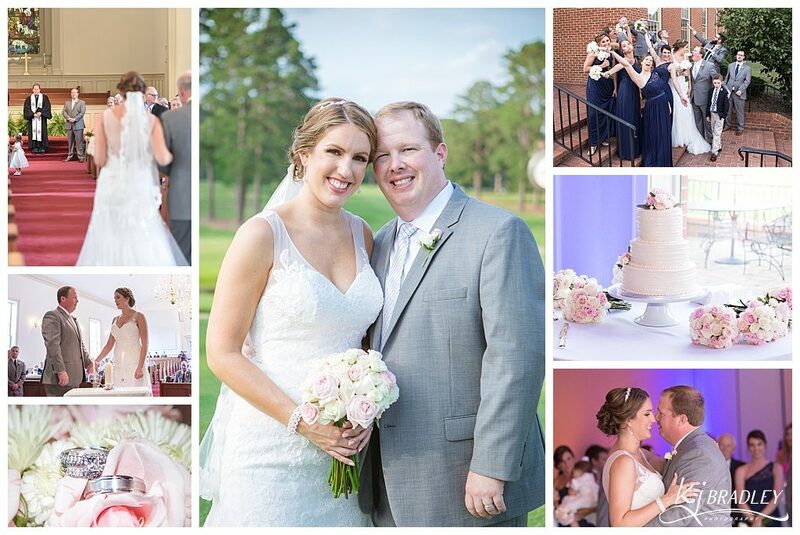 The dinner and party was full of energy and love at Benvenue Country Club in Rocky Mount, NC. Thanks to the second photographer, Charles Tolan for the shot from the back of the sanctuary!